i Click 'view all' to instantly compare this good deal with offers on other top dry erase boards. OfficePro Slimline 24x36 Inch Magnetic Dry Erase Board with Marker is currently selling at $39.99, approximately $8.09 lower than average, giving a potential saving of $50.00 right now. With a lowest price of $38.99 and an average of $48.08 it is selling on the low end of its usual range. Price volatility is 1.49% (meaning it does not change often), so the price should stay low for a while. Right now this product is a recommended 'good deal'. There is a coupon available for an additional 10% off. 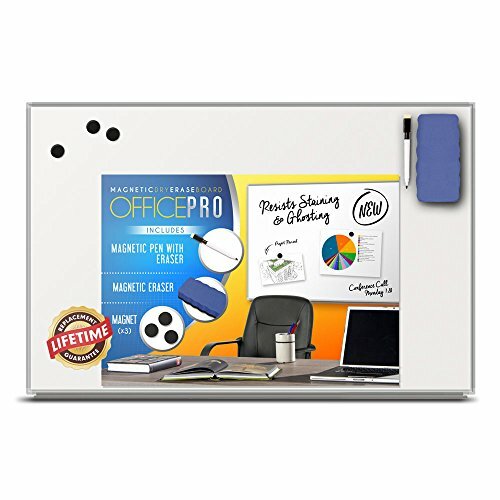 Compare the current price, savings (in dollars & percent) and Buy Ratings for the top Dry Erase Boards that are closely related to OfficePro Slimline 24x36 Inch Magnetic Dry Erase Board with Marker. Here is how OfficePro Slimline 24x36 Inch Magnetic Dry Erase Board with Marker compares with other leading Dry Erase Boards. SLIMLINE MAGNETIC Dry Erase Whiteboard Complete with Quality Black Dry-Erase Marker Pen & Pen Holder Tray, 3 x Whiteboard Magnets & Magnetic Eraser - Everything You Need to Get Started Is Included! 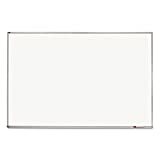 FeaturesHIGH CLARITY, SCRATCH-RESISTANT MAGNETIC DRY ERASE BOARD: Write, erase and write again on your white board. Do it over and over. The OfficePro Slimline Magnetic Dry Erase Board stays white, making your words easy to see and read.SLIMLINE, LIGHTWEIGHT DESIGN: The OfficePro Slimline Magnetic Dry Erase Board features a lightweight but sturdy design that is guaranteed not to warp. All whiteboards are shipped in multi-layer reinforced padded shipping boxes for max protection.PACKAGE INCLUDES EASY HANG MOUNTING KIT: The OfficePro mounting system allows you to install your magnetic board in a jiffy. 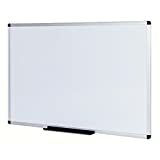 Even a novice can hang this magnetic dry erase board with ease.LIFETIME REPLACEMENT GUARANTEE: If you have any issues at all with your OfficePro Slimline Magnetic Dry Erase Board, simply contact us for a free replacement with expedited shipping!